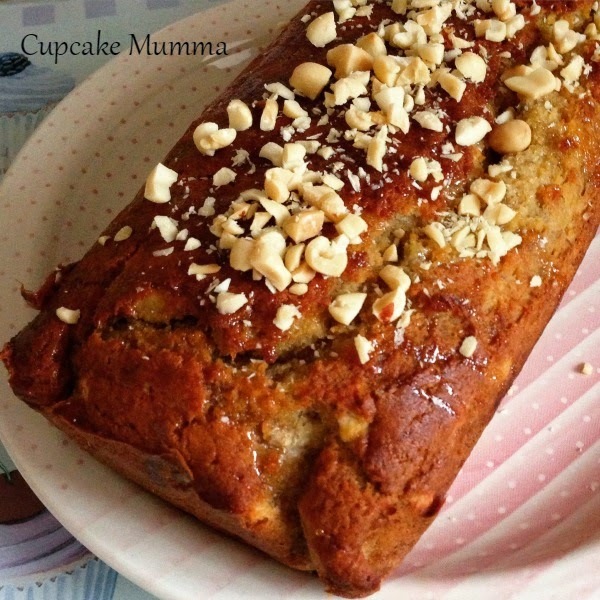 *Banana Loaf with Syrup & Peanuts. Take all your ingredients and put them into a bowl. 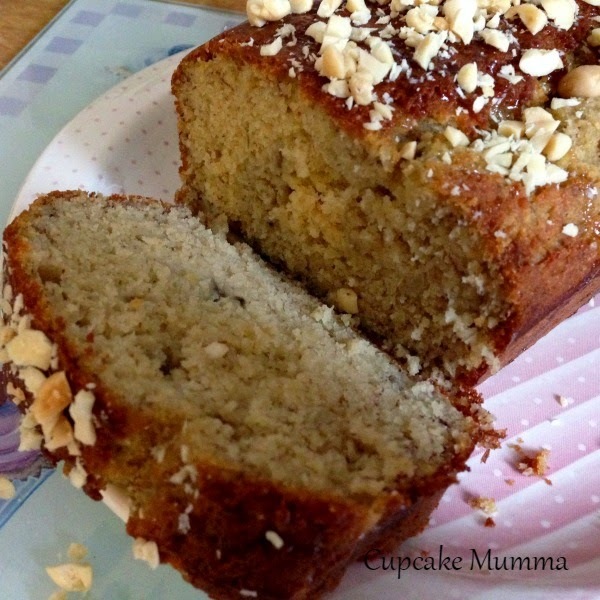 Mix really well, use a whisk before adding your banana if you like. Make sure your loaf tin is lined with grease proof paper and pour your mix into the tin. Carefully remove your cake whilst warm and now you can drizzle on your syrup or caramel or chocolate or whatever you've chosen as your desired topping. Add those chopped peanuts and enjoy! I have a rather slap dash approach to baking so if this isn't for you, may I recommend a Google search, Pinterest or maybe one of my other recipes that are more sensibly written? Now then, whose for cake? and now I'm hungry and there are no unfrozen bananas! Oh, that sounds wonderful! I have Celiac and use Artisan Flour Blend. It's one of the best flours I've found so far. Oh that looks amazing! I'm not gluten free but the small boy and I are avoiding dairy at the moment and this looks perfect! That sounds good too, I find there are so many but there are certainly better flours for certain bakes and makes!